Hindi film Queen directed by Vikas Bahl starring Kangana Ranaut was a great hit that struck a chord with many. It won Kangana the National Award too. We had earlier reported that Thyagarajan, father of Prashanth, was remaking this film in Tamil and Revathy will be directing this flick. Now we have exciting information on this. 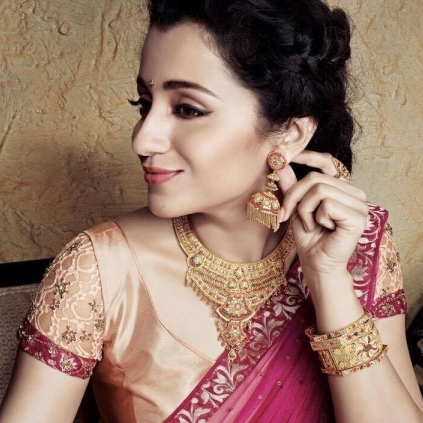 Sources in the knowhow reveal that Trisha has been roped in to reprise Kangana’s role in Tamil. If this comes out true, it is definitely an interesting situation as Revathy has proved her mettle as a director with films like Mitr My friend and Phir Milengae and when she would be directing Trisha, the project assumes greater significance. Added to that it would be such a meaty role for the actress who has been very selective in her projects. People looking for online information on Kangana Ranaut, Queen, Thyagarajan, Trisha will find this news story useful.